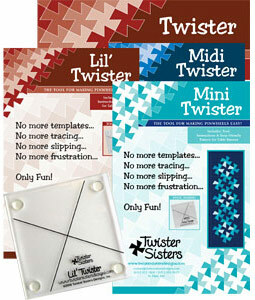 Our newest Twister Sisters pattern is the Twister Tray. 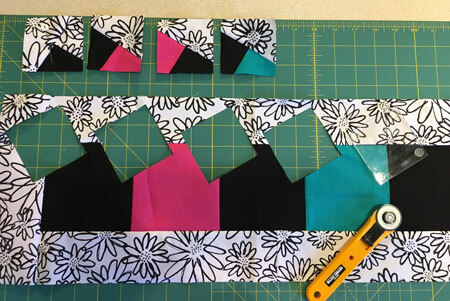 Create the pinwheel top using the Mini Twister Tool, then layer, trim and bind it. The magic inside the Twister Tray is Bosal’s Heat Moldable Double-Sided Fusible Plus. This video walks through the steps of shaping the Twister Tray by softening the Heat Moldable and shaping it while it’s warm. Check it out! 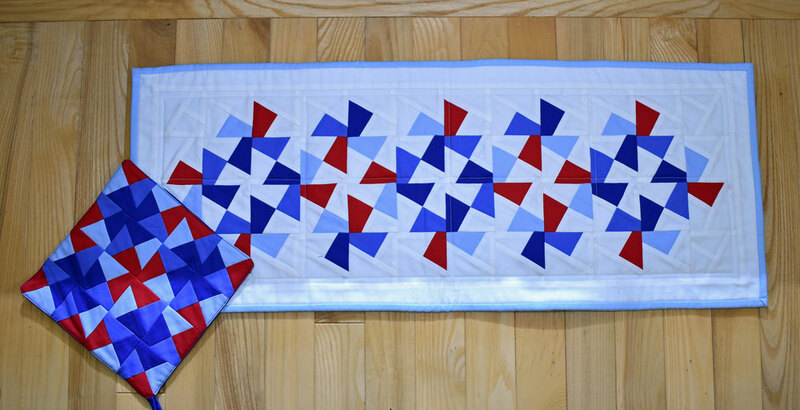 The Twister Tray pattern is available in our shop or ask for it at your favorite quilt shop! Don’t forget the Bosal Heat Moldable Double-Sided Fusible Plus and the Mini Twister Tool. 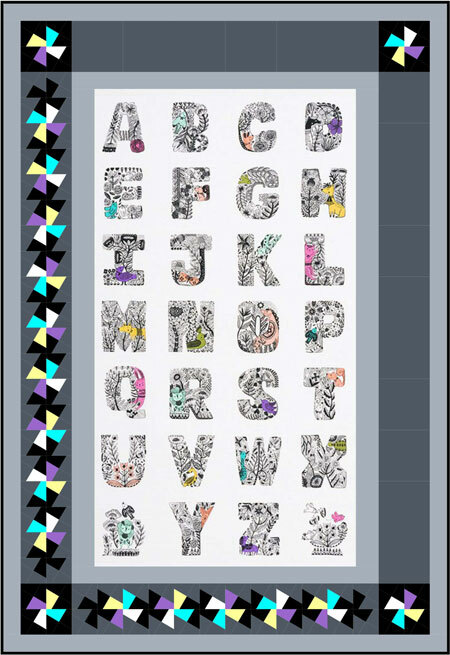 I would like to introduce our newest pattern, Frame & Twist, TWS108, which is designed to work with 24″ or 36″ panels and the Mini Twister tool. You can use portrait or landscape orientations. I had lots of fun designing this pattern and playing with different fabric possibilities. 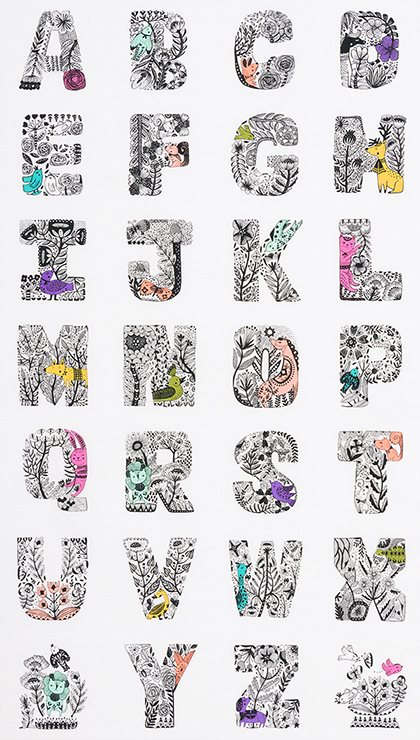 While searching for different panels to try with the design, I was excited to find a beautiful new ABC panel from Robert Kaufman designed by Carmen Mok called Lettered. 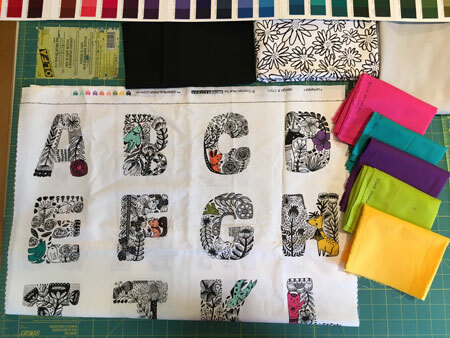 Robert Kaufman Fabrics kindly contributed a panel for us to include in our big giveaway which includes the new Frame & Twist pattern, the Mini Twister tool, and all of the fabrics to make the quilt top. So please keep reading to learn more about this design and see how to enter the giveaway. 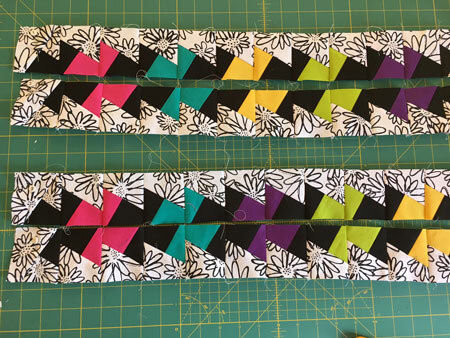 I chose 5 Kona colors for the bright pinwheels: Corn Yellow, Bright Pink, Jade Green, Mulberry, & Peapod, Kona-Black for the dark pinwheels and corner backgrounds, the Blueberry Park black & white floral for the backgrounds, and Kona-Shadow (a light gray) for the thin borders. Here’s the design rendering using EQ. 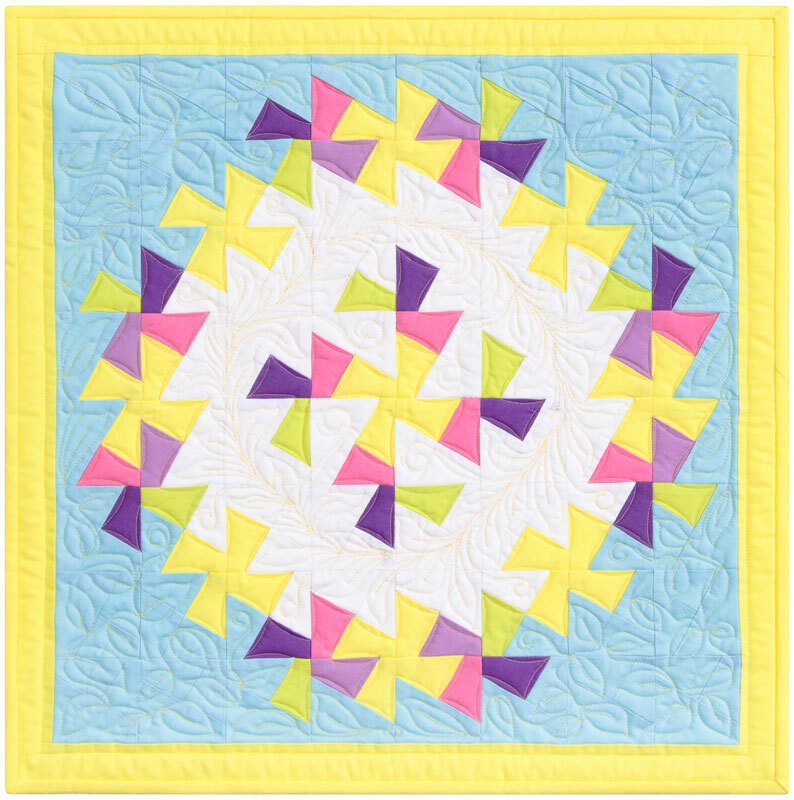 The pinwheel process using the Mini Twister tool is very easy. 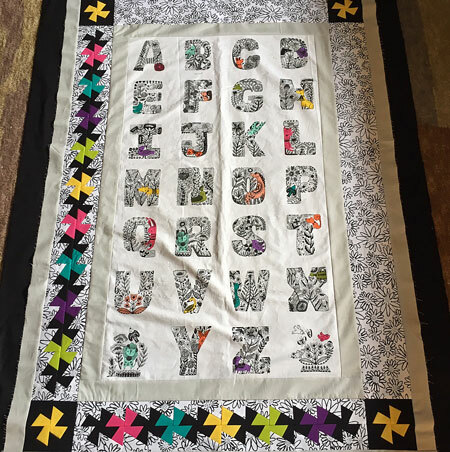 You simply sew together squares, frame them, and then cut them out with the square twister tool to create the pinwheel shape. Here are some shots of my process so you can see the magic happen. 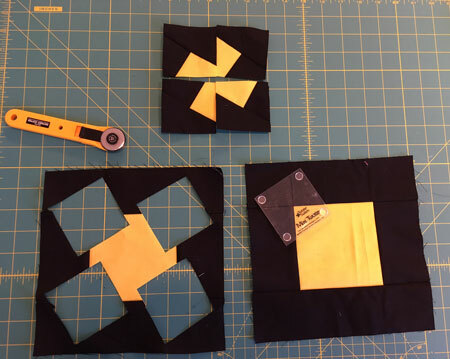 Framed yellow square to create a corner pinwheel and a framed strip of squares to create a multi-pinwheel strip. The lines on the Mini Twister tool are positioned on top of the seams and then you cut around the perimeter of the tool. Just four easy cuts and voila, you have the pieces to complete a pinwheel! For a strip of pinwheels, you just create a long strip of squares. 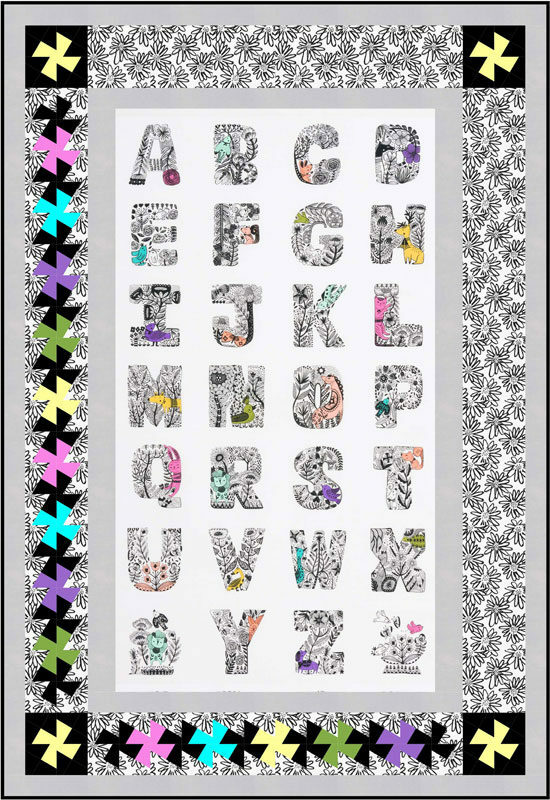 I alternated the bright Kona colors with black and then used the black & white floral for the pinwheel border. Above you can see the first 4 cuts I made and how they are then positioned in the order cut to sew together and create pinwheels. Here’s my completed quilt top which of course will look much more exciting after quilting. 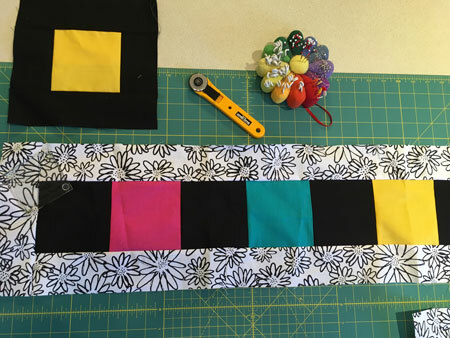 I might use cuddle fabric on the back to turn it into a snuggly baby/toddler quilt, or go with a regular backing to use the quilt as a wallhanging…I haven’t decided yet:)! 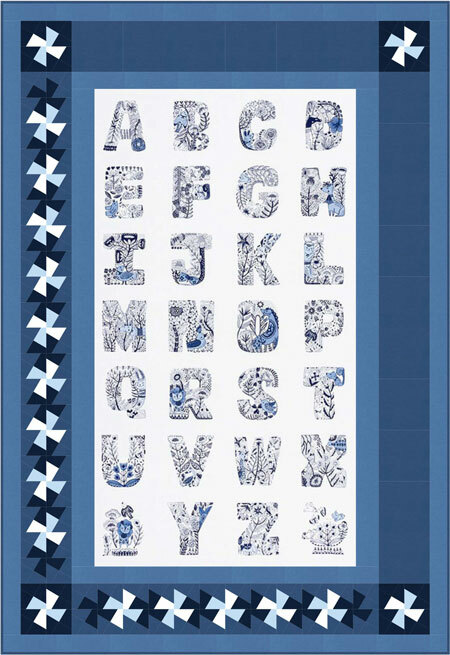 The Frame & Twist pattern includes many options for the pinwheels and backgrounds. You can choose to make multi-colored pinwheel points rather than each pinwheel being completely one fabric. Below is a rendering of what the quilt could look like if I chose to make 4-patches for the pinwheel squares. 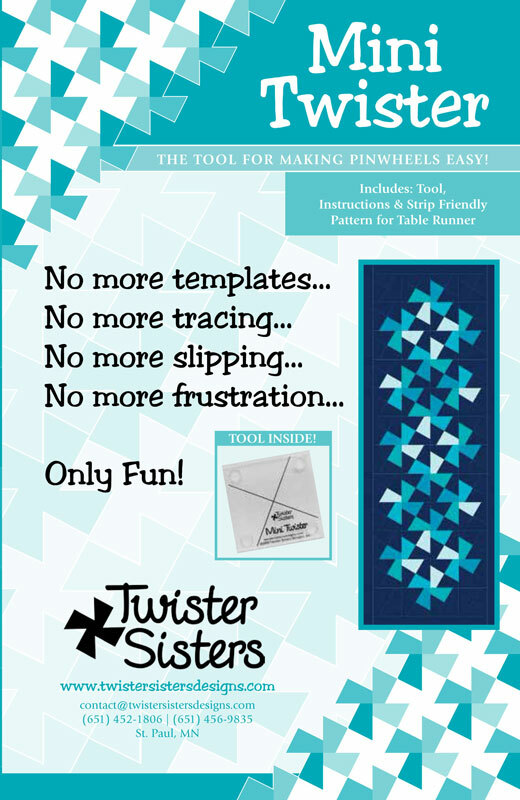 The Mini Twister tool comes with instructions to make a tablerunner and shows the process of making multi-color pinwheel points. Here is the tablerunner using Kona solids in patriotic colors. And here’s an example of multi-color pinwheels alternating with yellow pinwheels in the Mini Twister Rings pattern using Kona solids. 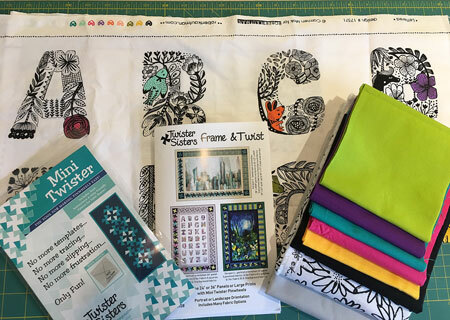 So let’s get to the giveaway which includes all of the items shown in the photo below: Lettered bright panel, Mini Twister tool, new Frame & Twist pattern, and all the other fabrics to complete the quilt top so it includes a total of almost 3-3/4 yards of fabric! To enter the giveaway leave a comment on this blog post. Please also follow the blog. For additional chances to win, like – follow – and tag a friend on our Instagram. You can also like – follow – and tag a friend on our Facebook page TSDesigns.TwisterTools. You can enter up until midnight CST April 2. Kathy E. is the lucky winner, congratulations! Thank you to everyone who participated and we appreciate all your comments. Good luck & happy twisting! Welcome to the new Twister Sisters site! Marilyn and I are excited to share our new site with you. When we formed Twister Sisters in the fall of 2015, we put up a quick website on Go Daddy to get us started. We’re excited to move into our new website home with a blog where we can share with you and have easier wholesale and retail ordering. Woo Hoo! Many thanks to Holly Knott for her hard work and great ideas in designing our site. So Welcome! 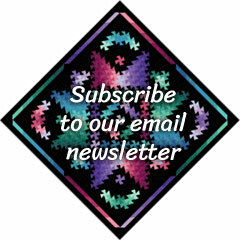 Check out the site, and if you’re a quilt shop, please register for a wholesale account by clicking on the wholesale page. We look forward to working with you and sharing more twister fun with all of you! 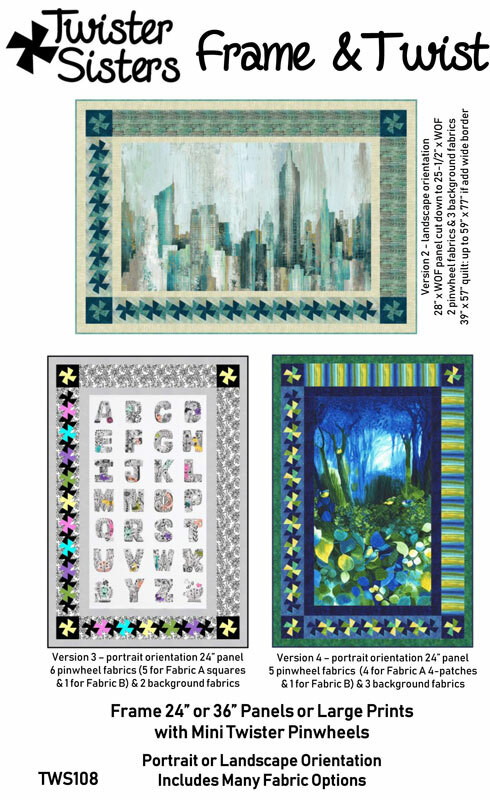 Come see Twister Sisters at Quilt Market in Kansas City this Spring at the Around the Bobbin & Quilt Moments booths! Copyright © 2019 · All images copyrighted by Twister Sisters, and may not be reproduced without permission from the artists.